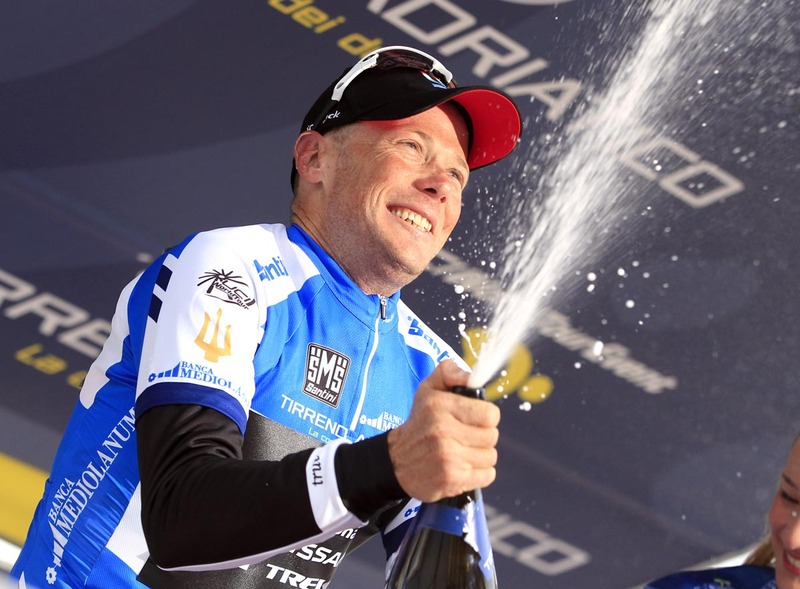 Joaquin Rodriguez shot clear to win Tirreno-Adriatico’s sixth stage to Offida today. Hot on his heels, Vincenzo Nibali sprinted for second and an important six-second bonus. Three cyclists are within six seconds in the classification: Horner leads by five over Roman Kreuziger and six over Nibali. They will fight for the overall title and trident trophy in Tuesday’s final stage, a 9.3-kilometre time trial San Benedetto del Tronto. Rodriguez took the maximum time bonus, 10 seconds. Nibali in second gained an important six and Danilo Di Luca, in third, took four. A seven-man escape stayed free until 5.5 kilometres to race. Prior to its formation, Mark Cavendish featured in a separate escape group. 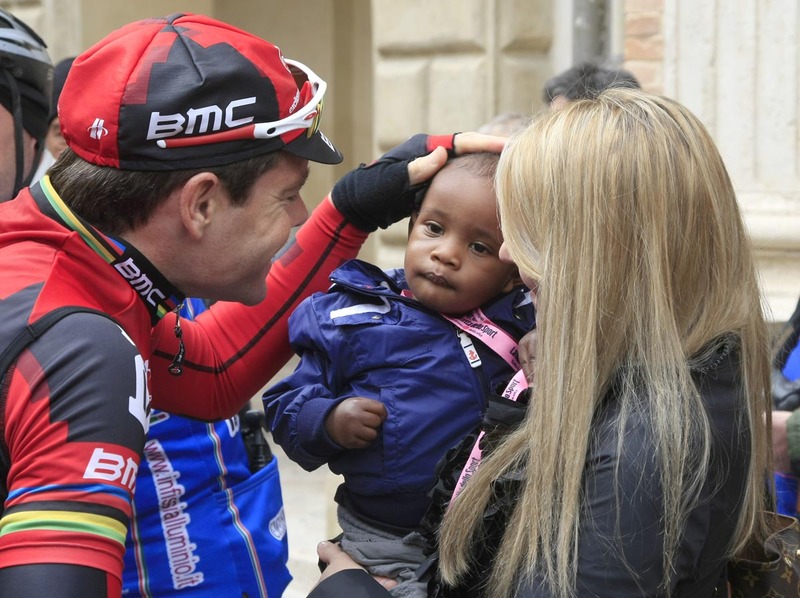 He later abandoned the race with Bernard Eisel to prepare for Milan-San Remo on Saturday. 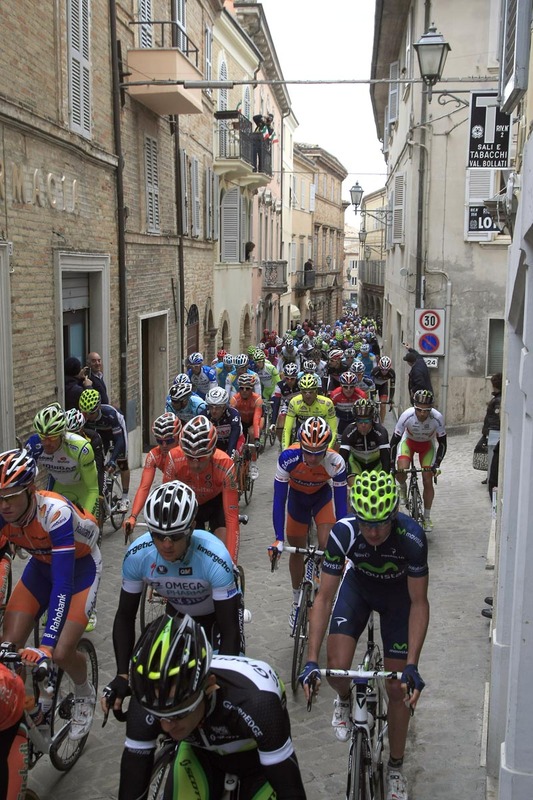 The announcer said, “Che finale!” when an elite group entered the final four kilometres and top of the steep ramp leading into Offida’s medieval centre. Nibali chased down an attack, marked by Horner. Di Luca took over with Michele Scarponi (Lampre-ISD) on his wheel. Peter Sagan, stage four winner, took charge with three kilometres to race for Liquigas team-mate Nibali. Christophe Riblon (Ag2r) attacked, Domenico Pozzovivo (Colnago-CSF Inox) chased and Sagan kept watch. Only Rodríguez slipped Sagan’s grip at 600 metres remaining. Team Katusha first worked for Rodriguez’s team-mate and three-time world champ, Oscar Freire. But Freire, nearing the final of 181 kilometres, told Rodriguez that he was not as his best for the finish today. Horner has had a couple of difficult days in the leader’s blue jersey. Nibali won the stage yesterday to Prati di Tivo and took 22 seconds on his rival. Today, he gained another six. What started as 34-second lead over Nibali, is only six seconds now. Nibali thinks Kreuziger will give him more problems than 40-year-old Horner. The time trial is a straight, out and back time trial along the Adriatic coast. Horner’s RadioShack team-mate, Fabian Cancellara won last year and is a favourite for the stage win.